With the growing world and with the industrial changes, certain things have transformed. Previously, the company employees and the key person didn’t have any special qualities or requirements, just needed the basic skills and experience to get into work. But today, as much as the industry grew, the requirements and skills have come into more demand. Nowadays, for a being a good manager in an industry you need to carry all the major qualities and have an outstanding personality that differentiates you from all your co-workers. 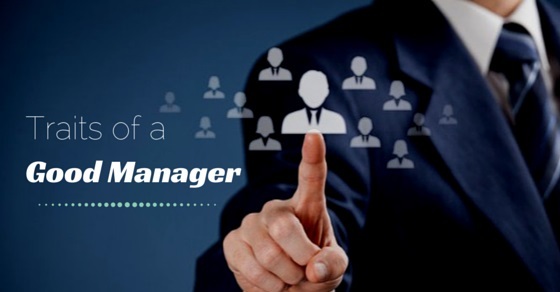 The following mentioned are few tips on what are the traits of a good manager and qualities of good management. The first characteristic that a manager should carry is his attitude that stands apart from everyone. Your character and personality is something that sets an example for your juniors and team mates, so you need to have a strong a positive attitude towards work. Your body language is the first thing that employees would notice about you, so you need to maintain it during tight situations. Be direct and straightforward with your thoughts and deliver them with the right point. Being a good manager you need to keep things open and transparent. Especially during bad times you need to be factual while speaking to the reports. Transparency makes it easier for clients to provide feedback and add a candor to the company culture. Good managers work for themselves and great managers work for the company. It’s important to adjust yourself with any situation and place. Great managers are the people who have an everyday interaction with the employees, not only as a manager but as a mentor and guide. It is important to maintain flexibility in an organization you are working in because your employees would look up to you during any problem and they should not feel hesitated to talk to you. Good managers urge to develop more skills and talent in candidates and employees. They know to assign the right people for the right work so that they can enhance their working skills and methods. Good managers emphasize on great mentorship and opportunities to implement a plan focusing on the interests and needs. They not only work for a project but also care about the future of the organization. Being creative is something that separates you from the others. It is a mark of excellence and help adding some ingredients into a work. Creativity is a quality which is not gifted to everyone but you need to attain it in order to make a difference. This is a quality that leads a project with enthusiasm and gusto. So it is necessary to have creativity as a quality of good manager. Stand to what you said. A real manager sticks to his words because that is mark of good managerial skills and leadership skills. A manager is the vision of a team and everyone will look up to him. Your words pull the team along and help them lead, so stay committed to your words. Discipline is a self mastery skill which cannot be forced on anyone. A good manager should be self disciplined and have the ability to be a role model for everyone. This is one of the good manager traits. This is a universal quality that everyone needs to have, and being a good manager this should be your prior duty. Focus on work will help you understand the terms of the project better and accordingly you can guide your team. A good manager understands a client’s requirement and he fulfills it with great devotion and dedication. This leads to client satisfaction and more projects on the way. Being a manager of the 21st century, you should be technologically skilled. Computer and internet knowledge is a must and that advances your work in all way. A technologically challenged manager is considered as outdated and obsolete that would be a negative quality. Since most of the projects are analyzed, researched and executed through the internet, you should have that amount of technical knowledge so that you can carry on with it. Show examples of great work and successful people. Examples tend to explain things practically and with a better understanding. When theory turns boring make the conversation more interesting with real life examples. This is a tool that brings more productive results in a team. A good manager should be able to cope up with any problems and he should not run away from it. Since he is one among the key persons of the company, he should have the ability to identify and solve problems. In case of a project, he should take the responsibility to stand by the different issues and give an ethical approach in problem solving. Best Leadership skills as a quality is a must requirement in all managers. Your team considers you to be their mentor and leader, so you should be capable of guiding them through the right and wrong. A good leader also has judgment skills and he has a voice which is noticed by everyone. No work can be successfully done without having patience. Patience enables you to control yourself and gives deep understanding about your team members and clients. A great manager learns the art of patience and has the ability to keep work organized with a perfect system. Decision making is another important skill which is required in a good manager. He should be able to make decisions effectively and execute it perfectly. Making the right decision is very tough, but a good manager should learn to differentiate between the good and bad and then implement it. When a team member goes wrong, a manager should guide him accordingly with the right thing to do. Make him aware of the goals and set the priorities. Approach positively and empathize him with the effective solutions. Greet your employees and staff everyday with a warm hello or good morning. A generous greeting brings prosperity to the employee and makes his day great. So a good manager never misses out to greet the office staff. This is one of the biggest characteristics that a manager should have. Employees would look up to the manager and expect him to be someone who can be respected and followed. So a manager should follow and respect the company culture which is the most unique characteristic of an organization. Every organization carries a work culture of its own and expects its employees to abide by them. Being a good manager you should not allow your employees to break this rule and urge them to follow the work culture like you do. A manager with good communication skills also carries the ability to make others listen attentively. He should be a great instructor and deliver information correctly and accurately. He should be able to focus and explain about the company goals to his clients. Clients are often impressed with the way you speak and so a manager should be able to communicate effectively. A great manager should be well aware of the industry he is related to so that he can answer any questions put forward by his clients or team members. He should be prompt and clarify any kind of details related to his work industry. Being a manager you should be able to present yourself in the public. During company events and interviews you should fluidly communicate with the person and be confident during a public speaking. A good manager should trust his employees and team members in order to lead further. Having trust also brings confidence in employees and they have a strong feeling that someone is here standing by them. A manager who trusts his employees also makes a space inside their hearts. A great manager keeps motivating his employees so that they can work effectively and enthusiastically. Being a respected company person, a manager should act like a father to his employees to keep them leading the project in a positive manner. This helps the employees focus on the project and fulfill their goals and mission. A manager should learn to understand the right talent for the right job. There are many companies who hire the wrong person often, but being a good manager you should have the skill to choose the best. These are the key attributes for being a great manager. If you are going to hire a manager in your company then we recommend you to judge him with these qualities. A good manager brings a bright future to the company he works in so he should be able to manage, organize and fit himself comfortably inside the box. He is the hope for the employees because the future of the company lies in his hands.